Opel needs a rwd platform to build the GT Concept. It could develop one with MG.
Opel/Vauxhall's retro-futuristic GT Concept ticks all the boxes for European sports car enthusiasts. It looks good, is extremely compact and light at less than 1000kg, and it has rear-wheel drive. The concept's engine, Opel’s three-cylinder 1.0-liter turbocharged gasoline engine, might not be powerful enough with 145 hp but it's torquey and frugal on fuel. Opel says the GT Concept is purely a design study and it will not be built. General Motors, Opel's parent, doesn't have a small rear-wheel-drive platform suitable for the car. German media reports suggested the GT Concept could be produced based on the front-drive platform used by the Astra compact car, but that car would be a flop. The fwd drive layout would be dismissed by enthusiasts and would prevent the concept's beguiling cab-rear design from becoming a reality. The problem is scale-ability. Last year in Europe Mazda sold fewer than 7,000 units of the MX-5, the so-called "people’s sports car." Opel couldn't make those numbers profitable on an all-new platform. But I have a solution. 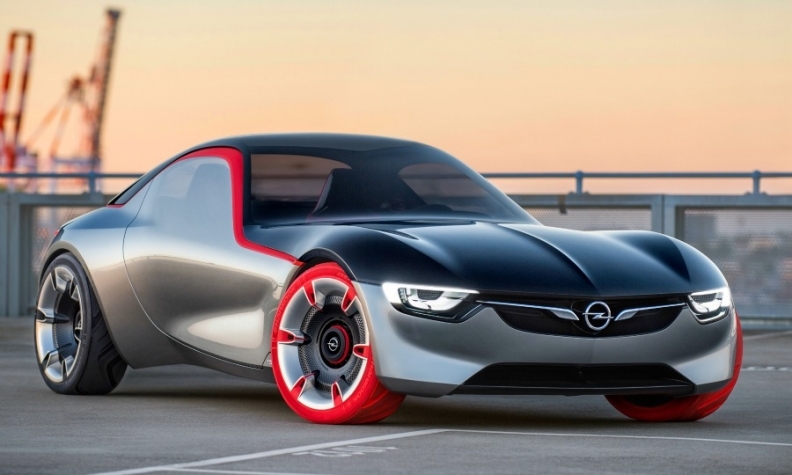 Opel needs halo cars like this and so does GM's Chinese partner, SAIC. SAIC owns the storied British sports car brand MG, but in Europe MG is struggling to win buyers for its sensible MG3 subcompact and MG6 compact. MG Motor sold just 3,158 units last year in the UK, its sole European market. An Opel-MG rear-wheel-drive sports car reviving the iconic MGB sports car and developed by British and German engineers at Vauxhall and Opel would give MG a big boost in Europe and in China, where MG Motor uses its British heritage as a big part of its sales pitch. SAIC executives have previously said the brand needs a sports car, but there are no signs that one will appear soon. The MG TF sports car was revived briefly under Chinese ownership, but it was too outdated to be successful. Production stopped in 2011. GM and SAIC are already working together on non-Chinese products. The engine inside the GT Concept, which also powers cars such as the Opel/Vauxhall Adam, Corsa and Astra, is one such collaboration. What about the U.S.? GM has killed Saturn, the brand that previously shared its Sky two-seat sports car with Opel. But that doesn’t mean a small sports car wouldn’t fit anywhere else. A light, inexpensive rear-wheel-drive coupe could easily wear the Chevy bow-tie. Opel's press release on the GT Concept draws comparisons with the much bigger Chevrolet Corvette, another rear-wheel-drive coupe which, like the GT, has its engine mounted well back under a hood. In an era in which rival Ford is leaning heavily on its performance car lineup to revive a flagging brand image in Europe, Opel needs a car like the Opel GT Concept to boost its showroom appeal. And it might just have the global partnerships to make it work.